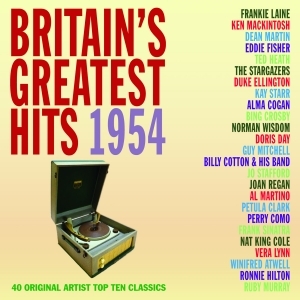 This great value 2-CD set features 40 original artist recordings which were Top Ten Hits during 1954, including eleven No. 1s. It is one of a series of ten collections covering each year from 1953 to 1962. For anyone who grew up through that momentous musical decade, every single track brings the memories flooding back, and they are hugely entertaining as well as being a great souvenir of a very special time. 12 This Ole House Billy Anthony with Eric Jupp & His Orch.